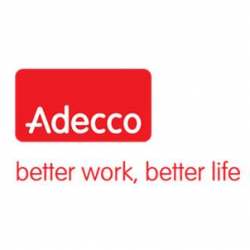 The Adecco Group are the World’s leading provider of HR Solutions and Recruitment - servicing over 60 countries worldwide. We are Serco external recruitment partner. Adecco and Serco work in partnership across various sites within the UK. Our main service is to supply fixed term contractors into the Serco business. DWP – Several Customer Advisor Roles available for a Global Outsourcing company! WEEKLY PAY!!! Our client is one of the world’s leading outsourcing company!! We have roles available both full and part time, on short and long term temporary assignments basis. Speaking to customers over the telephone and completing applications for new benefits • Inputting customer information onto in-house computer system. • Taking credit and debit card payments from customers. • Dealing with customer queries, aiming for first time resolution on every call. • Ensuring attention to detail is maintained when completing application/speaking to customers. • Using multiple systems including in-house systems, emails and excel • WE HAVE SEVERAL WORKING SHIFT PATTERNS DEPENDANT ON ROLE! !